The DeWilde Journey: It is finally 2008! 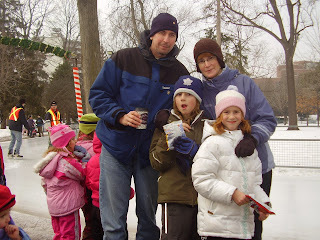 Christmas 2007 has come and gone – and it held many special memories (again) for our family. We’re not sure how we’ll do our annual December 5 (or there abouts) gift exchange next year. We’re not sure where we’ll be for Christmas next year – and not sure if there will be other family members there to celebrate with us. 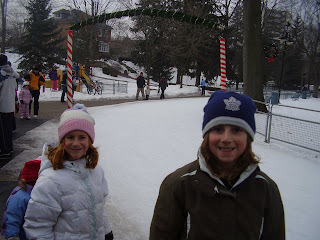 That said, we tried not to spend too much time this year thinking about Christmas 2008. Instead we savoured all the wonderful blessings that came with spending time with family and friends during the Christmas holidays. It was a very white Christmas this year. That makes for lots of special outdoor memories. We made special note of the snow-related activities we expect we won’t be doing this time next year: skating on the outdoor rink in downtown Brampton; downhill skiing (this year at Pine Ridge near Horseshoe Valley); and building an igloo in Peterborough on New Year’s day. We’re into the last six months of planning for our year of traveling around the world. Pam’s finally reading the pile of travel books that John has been amassing for the past year or more. And Pam being Pam, she’s starting to make lists. Simon and Danielle were quite shocked by the list of vaccinations we all have to get! We have an appointment at the travel clinic next month. If we can get through all the shots we can get through anything, right? Given how much John hates needles there is a lot of truth to that statement! The first leg of our journey is traveling across Canada. We had the van checked out recently and are fairly confident it will take us safely and reliably across the country this summer. 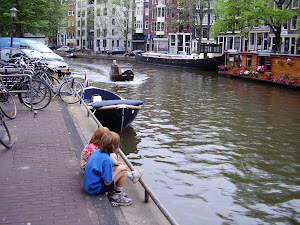 We’re also getting very close to booking the first two legs of our trip – Vancouver to Florida, and Florida to Nicaragua. We’ll keep you posted!